Are you one of those people who scour the newspapers over the weekend to find local Garage Sales? If so, you would agree that the sales are hard to read, your fingers get smeared with ink, you have no idea how to get to these sales, and quite frankly, there aren't too many listed. Well, help is here. There is a new internet web site dedicated to you weekend warriors who are yard sale hunters. Perhaps you are the type who enjoys having yard sales. You too will benefit from YardHopper. The site http://www. YardHopper.com is by far the most well thought out, well put together national resource on the internet for locating: Yard Sales, Garage Sales, Estate Sales, Moving Sales, Online Sales aka Virtual Sales or just about any other type of sale you can imagine. The site designers have left no stone unturned. To begin with, this is a very aesthetically pleasing site to look at. There are no pop-up ads, or any ads at all for that matter. The site loads very quickly. There is a small amount of Flash programming built in, but it only adds to the sites Zen-like experience. Finding ads for your city is only 2 clicks away. If your city is not a major city, you can click on the city closest to yours, and any local ads will appear. You can also do a national search if you are interested in the types of ads going on in other cities. Each ad is automatically linked to MapQuest so that all YOU need to do is click on their "Get Map" icon, and a MapQuest map will appear showing you exactly where the sale is being held. Each ad has ALL the sales pertinent information. Date/time, location, items being sold, email contact, phone number, pictures, etc. YardHopper offers the ability to perform searches based on numerous items (date, city, zip code, keyword, and more). 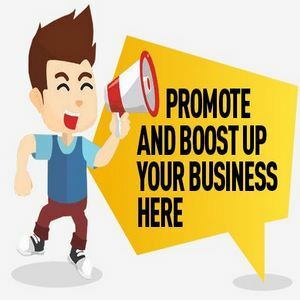 Advertising sales on YardHopper is a simple process as well. You'll need to fill out a short registration form. It took me a mere 90 seconds to complete. Once you get your membership, you can proceed to login and add your sale. You have two choices, either a traditional sale (Yard/Garage/Estate Sales) or a Virtual Sale (an online sale). Each type of sale has it's own form for you to fill in the particulars. You fill in the form, add pictures if you like, review your sale, and submit it. The sale will then appear on the local cities list, and on the national list. A few things separate YardHopper from other avenues of this sort of advertising. For starters, you can edit your ads as often as you'd like up until the date of your sale. Your advertisement will always be on YardHoppers front page. In addition, there is no size limitation, meaning you can add as many items and/or descriptions as necessary. I've reviewed many of these types of sites. From design to simplicity to content, http://www.YardHopper.com is by far the superior product. The site is currently free. I don't expect it to be free forever, so take advantage of this great opportunity while it lasts. ZZZZZZ .